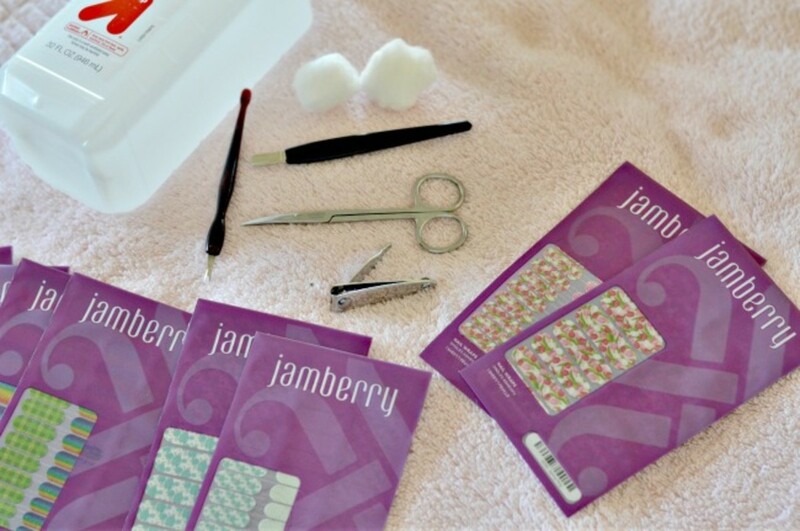 Jamberry Nail Wraps are the newest nail trend for manicure mavens out there. Everyone is sporting these cute and colorful nail wraps. I was beginning to feel left out! 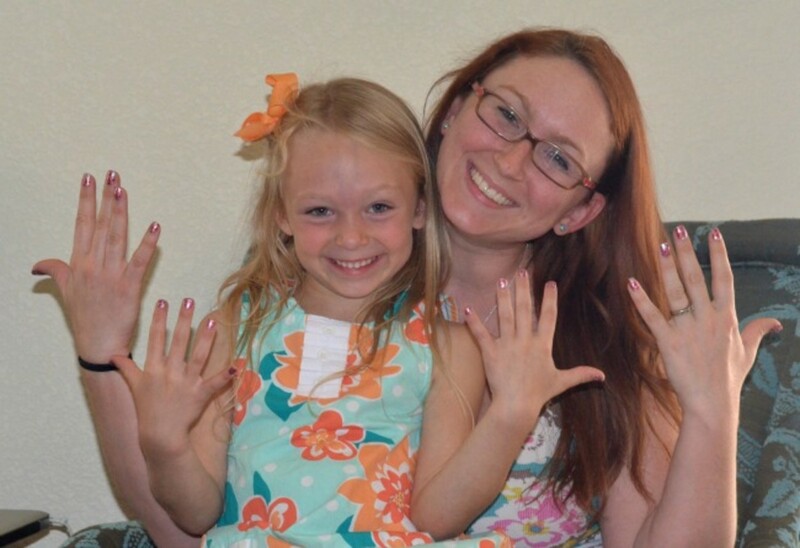 My daughter and I recently got a chance to try the Mommy and Me Jamberry Nail Wraps for ourselves. My 6 year old already loves doing her nails. If we paint them, each one has to be a different color, preferable with stickers and sparkles galore. With the Jamberry Nail Wraps you get pretty patterns with sparkles without having to deal with messy paint or having to wait for paint to dry! Bonus points for if we have matching nails! 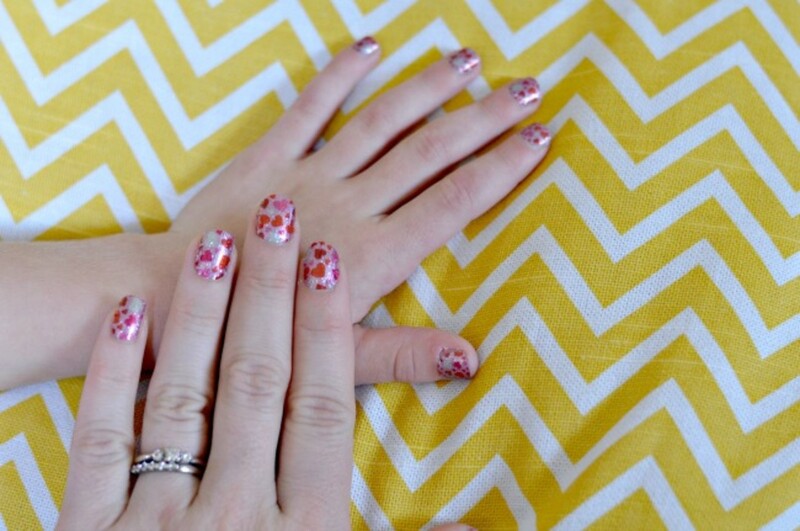 We got a few different matching and/or coordinating Mommy and Me Jamberry Nail Wraps to test out. For our first time trying the wraps, I let my daughter pick the design. Being the girly girl that she is she immediately went for the pink and red sparkly hearts wraps. We set out all our supplies: alcohol and cotton balls (to pre clean your nails) scissors, clippers, cuticle pushers, rice bag, hair dryer and nail file (not pictured). It sounds like a lot, and I thought it was too when I was gathering it all together but it really wasn&apos;t once I got started. I had never done nail wraps before so there was a little bit of a learning curve when trying to learn something new. The Jamberry website offers a helpful page with a video you can watch for tips on how to apply and remove your nail wraps. 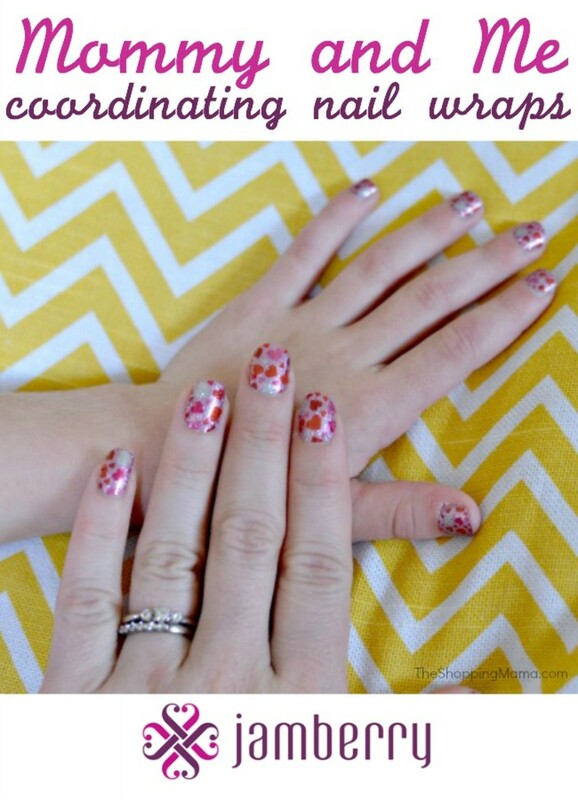 As a nail wrap newbie I found this very helpful! We tried both a rice bag and a hair dryer for adding heat to our nail wraps. The rice bag worked great for putting my daughters nail wraps on but when it came time to put my own wraps on I found the heat from a hairdryer created a better seal. The wraps are on a sheet with a clear backing to make it easier to find the right size wrap for your nail before trying to apply them. 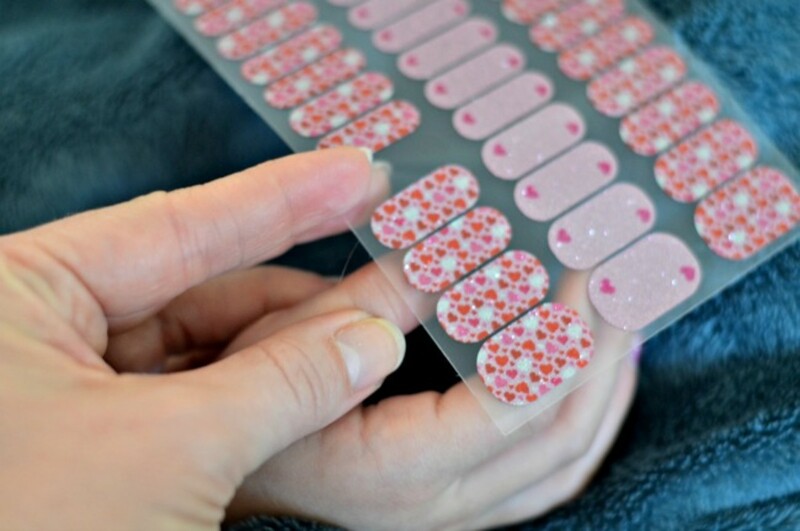 Each sheet comes with plenty of wraps to do several manicures. 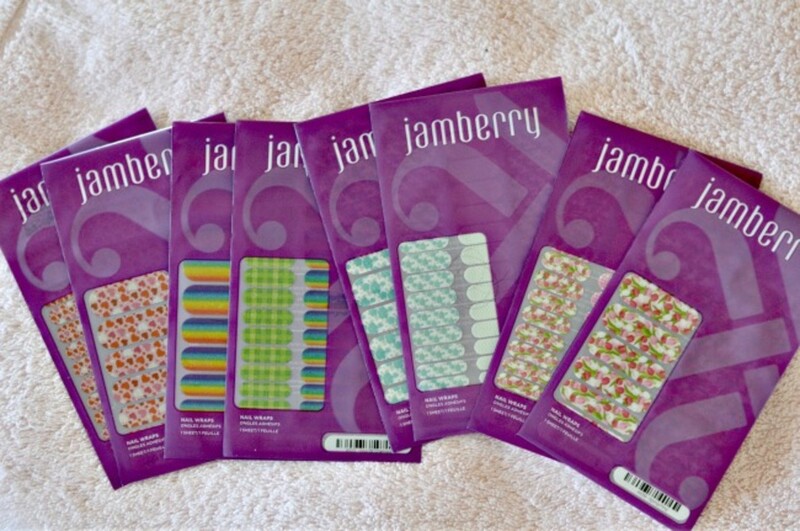 Our Jamberry Nail Wraps have been on for over a week now and are holding up much better than nail polish ever does! No chips here! Considering how rough my daughter is on her hands - playground, gardening, gymnastics etc, I&apos;m pretty impressed. Once I feel like I&apos;ve gotten enough wear out of these heart wraps, I&apos;m excited to try the coordinating Mint to Be nail wraps. I adore that soft pastel floral pattern paired with the chevron! Shop! 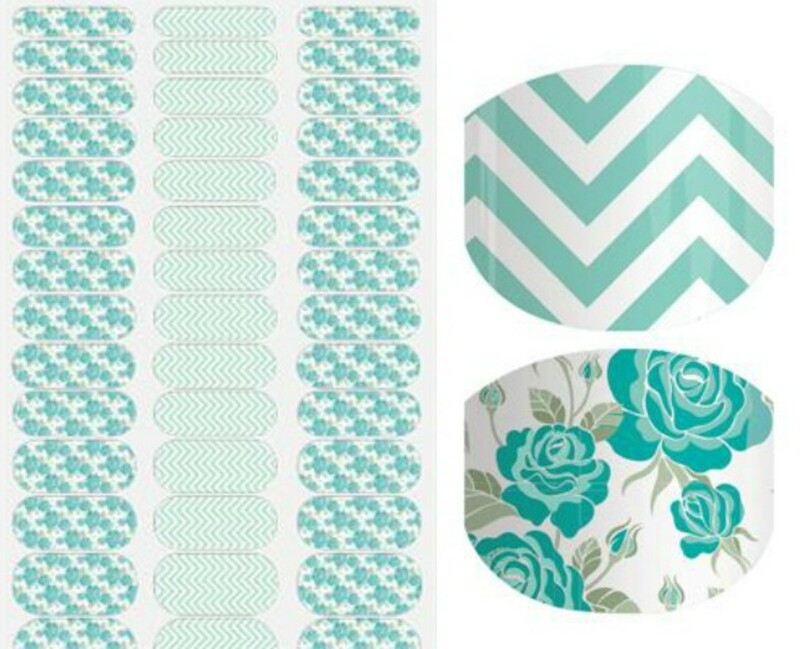 Visit Jamberry to shop their Mommy and Me and Juniors sized wraps. Each sheet is $15 and has enough wraps for several manicures.